Powerful. That’s it! That was the word for the day, Sat Feb. 6, 2016 when over 100 people gathered to make authentic and transforming mission connections among ourselves. Most of the spontaneous feedback that we received used the word “powerful” over and over again to describe the morning. Thanks to all our volunteers who served as presenters, exhibitors, and on teams as greeters, registration, hospitality and more! Pictures, taken by our volunteers, were shared promptly on Facebook and you can browse them here and here and we’re still waiting for a few more which we will share as soon as they are available. If you haven’t already done so, we invite you to send your comments and suggestions via the contact form or to our Presbytery Leader for Vision and Mission, Tom Cramer. A copy of the final report that has been submitted to the Presbytery office is given below. It was another successful summit with a little over 100 attendees. Not all stayed the entire time. The location was easily accessible, beautiful, and worked well for making the event the kind of intimate community building and networking event we want our Summits to be. The worship was inspiring and uplifting. The keynote “Anti-racism and Mission” was very well-received and the interactive nature of it deeply appreciated. Three Breakouts was the perfect number to have as they were all well-attended (20-30 each). Participation in the Exhibits and Networking specifically, and the Summit, in general, was outstanding: 20 congregations and 11 pastors in our presbytery. Personal interactions – phone invites, visits, follow-up, and thank you’s, we found – are critical. 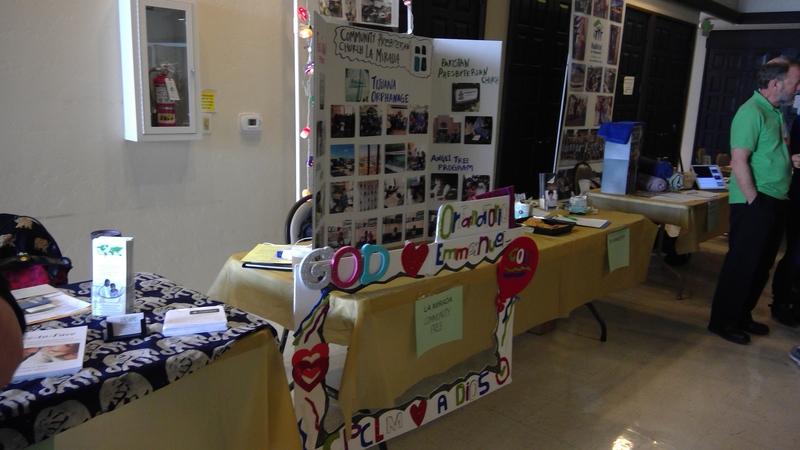 Local ministries and other churches also participated bringing the total number of exhibits to 30. The refreshments were fresh, delicious, appealing. The Blessings raffle is a sweet way to close the morning. Summit team was frugal and expenses came under the allocated budget. YAY! All in all, it was indeed a “powerful morning,” to use the words of some of the attendees. d.	12: 30 pm – Close by 1 pm with Blessings Raffle/Prayer. •	Charge to attend the summit – $ 5.00. This includes lunch. This is to encourage commitment. Offer scholarships. •	Charge exhibitors who are ministries outside (not our churches) – $15.00 per exhibit suggested. •	If sales are allowed again, consider having a separate “marketplace” area during breakout/exhibits for meet-the-authors, artists, etc. •	Is Feb. 6th the best time to have the Mission Summit? Perhaps March is a better time for our presbytery churches. We did not get commitments from some of the churches/Exhibitors until the end of January 2016. •	Who are we reaching? Who else do we want to reach? What’s our sticky factor? (sticky factor is when people stick to us – come year after year). Are the stickies (repeat attendees) bringing new people?